Tuesday I bought prepare3d v.4.3 Academic, all went well until I start to flight with the F-22 and other default airplanes, just to do a test. I selected the F-22 and do a test flight (even because is the "default" airplane which compares in the menu so for a question of practicality I chose it), however the simulator starts in the cockpit of F-22 with 100-120 fps, but when i switch other views camera by pressing the key "S" fps drop at 6-7,and sound goes away. I've tried to follow many tips already in other forum (included in p3d forum) but nothing went well, there were other people who had my same issue. 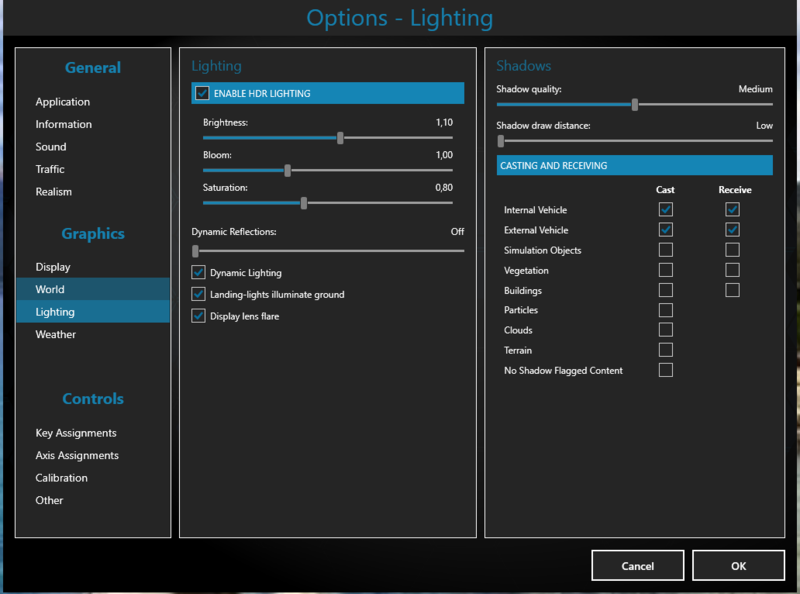 I've tried to do doble right click to delete genereted files and shaders folder, nothing happen. I deleted the p3d config file many times but nothing happen. I'm not very expert with this things, if you could help me, I'll appreciate that. Have you tried not using Nvidia Inspector? Yeah my graphic driver is up to date, also I tried to reinstall the audio and sound driver, but nothing happen. 1) Deleting the Prepar3D.cfg file and letting it generate again when launched next? 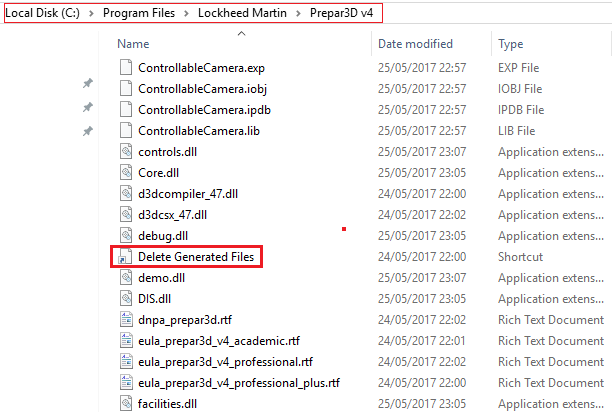 2) Running the Delete generated files command from the core Prepar3D folder? Note: This action will disable your 3rd party Add On's. Right now I've tried to delete genereted files, and delete config file but nothing happen. The issue persist, by changing the view, fps still remain at 2-3. P.S Now I've installed many addons on p3d such as Aerosoft airports (4 airports), GSX and a318/319 Professional, but if the issuse go away I'll install also REX texture direct and worlwide airports HD, and ORBX global vector. 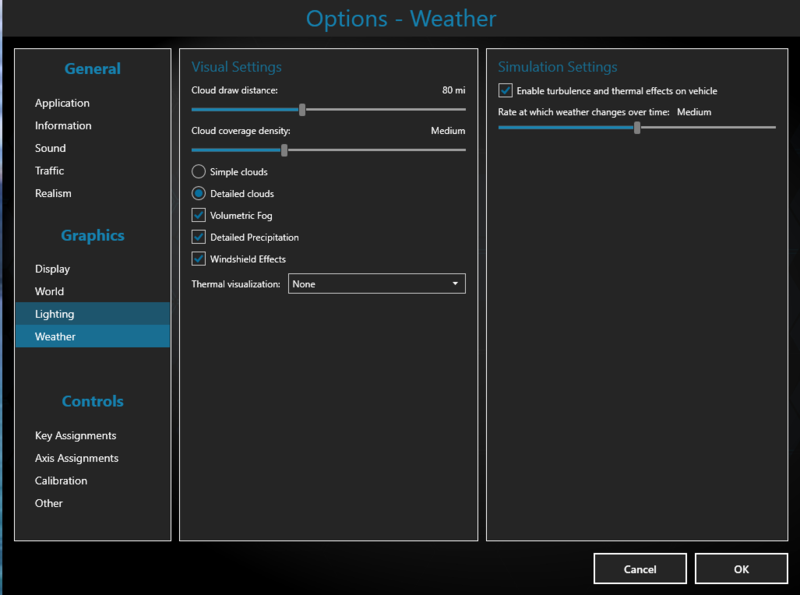 I have not installed them yet for fear that it will make the situation worse about the Fps. Hi, I also have the same problem i tried everything but the problem continue. Yesterday I update my sound card (Relatek High Definition Audio) with the latest of 08/14/2018, when I launch P3d the issue persist. I'm asking to me if is a problem of my PC or maybe there something wrong in P3d. Do you have VSync enabled? If so, please try disabling it. If there are any settings for GSync, you may want to play with those as well. I don’t thing that is your pc. I play battlefield 1, COD WW2 and FIFA 18 at highest graphics possible on my system that is a I7 7700k GTX 1070 8GB 32Gb memory Ram and those games runs really good. Is something that when you switch between views make that the graphic car stop working. I used msi afterburner to monitor my systems parameters. And I saw that the graphics car stop working when I switch views. I have GSync and VSync disable. 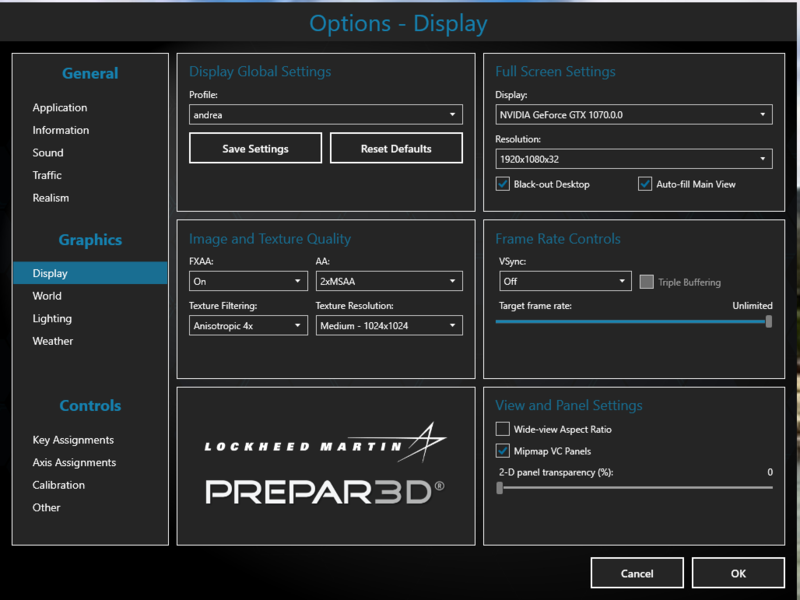 Yesterday I launch the simulator with Task Manager next to P3D, when i'm starting in the cockpit of F-22 fps goes well still remain at 100-120, and my graphic card works at 50-65 %; but when I switch an other view fps drop at 2-3 and my graphic card drop at 2-3 % same thing with the CPU. ill install windows again and I let you know if that work. If I had to reinstall windows, of course I have to remove P3d too, also backup all files right ?
" the simulator starts in the cockpit of F-22 with 100-120 fps, but when i switch other views camera by pressing the key "S" fps drop at 6-7,and sound goes away." If you remain in the new view is the drop in FPS and no sound permanent or just for a second or so (very short time)? Have you tested with FPS locked e.g. at 20? Yeah I've already tried to block fps at 25 after at 20 but nothing happen. The issue is permanent because yesterday I made a takeoff with F-22 switching "external camera view" and the problem didn't go away, i've flew for 15-20 min, if the issue had been for a few seconds, it would absolutely not bother me. A lot of people resolved the problem by reinstall windows 10. I wonder what went wrong with the current Win10 install (with updates)? If you are not going to reinstall Win10 right now maybe you could do a short (like10 minutes or so) video with audio using the default P3D flight (F22 at the default airport).